Talk about a “special delivery”. 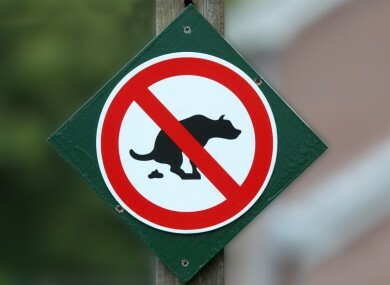 THERE IS NOTHING worse than spotting a stray bit of dog poo around an otherwise clean street or public park. Thankfully,the people of Spanish town Brunete have developed new ways to keep the streets poo free. A 20-strong volunteer team patrolled the town and noticed any owners who didn’t pick up any waste their dogs left. Then they’d approach, strike up some chat to get the name of the dog and leave. With the dogs name they used it to identify the owner on the database of registered pets in the town. The volunteers would scoop up the waste in question, package it in a box and deliver it to the owners in box with Lost Property scrawled on the top. 147 deliveries were made and there has been a 70% decrease in the amount of excrement found on the streets of Brunete. The video below shows how the campaign worked and also shows a previous one that involved a fake poo that followed people around on the street. We want to visit Brunete, Spain and their exceedingly clean streets immediately. Email “If you don't pick up your dog poo in Spain then this might happen...”. Feedback on “If you don't pick up your dog poo in Spain then this might happen...”.